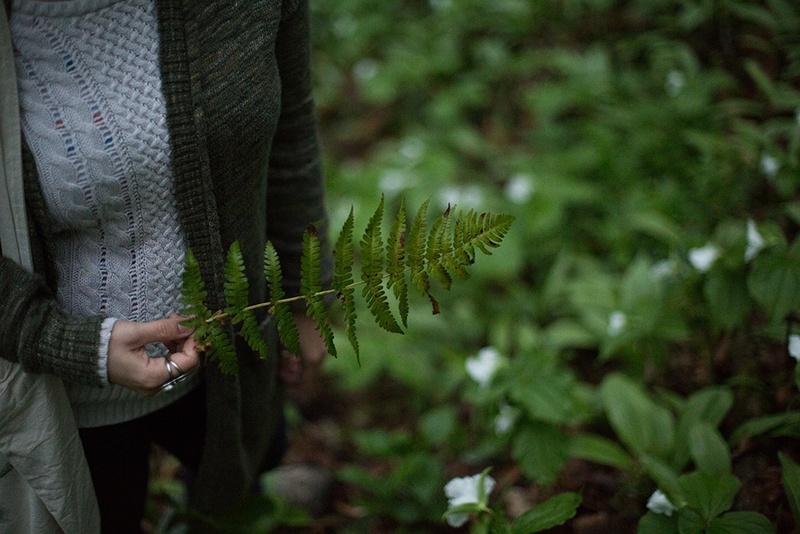 This year’s Mossflower Collection has been a blessing to me in so many ways. Over the past several months, I have intentionally shifted the way in which I approach this work. I have begun to allow myself to wander within every idea, every theme, every collection. Rather than constraining myself, I move where called and attempt to manifest what comes to me in silver and stone. Every year I return to the Mossflower Collection, pieces based around springtime and prehnite. It is a joyous thing to so love that season and that stone, otherwise the work would be dull. But every year I sing out green, trilling music and swing my hammers merrily to create this collection. I think I could work within this space for many happy years, with all its thorny rutiles and leaf print. But this year, I allowed myself to really meander through its creation. I allowed myself to test ripe looking ideas in the hedgerows and climb up to the tall branches to pluck a perfect design that I inexplicably missed for so long. I pulled words and images from the present and allowed those weeks, days, moments spent within the work to imprint themselves on this collection. In April, around the time when I first laid open my sketchbook and pushed prehnite gemstones around the pages, I also took The Silmarillion down from the shelf. I don’t know what drew me to it, but it felt like the right time. As I read, I breathed in Tolkien’s words and exhaled designs. With every page, parts of the collection took shape in the periphery. It baffles me how one writer could create something so beautiful. I could actually hear every sentence spoken by an ageless bard in the hall of a great king, recounting the history of a people, a country, a world. There were points in the reading where I had to close the book, close my eyes, and sit with the vision laid before me: the conjuring of plants and animals in Arda, the light of Telperion and Laurelin charioted in the sky, the awakening of the elves, the birth of Luthien. These were the images in my mind as I was bending metal and setting gemstones, it is no wonder they found their way into the work. And so I would take breaks to pluck lilacs from my neighbors underappreciated hedge or watch the mother grackle flitting to and fro from her babies, endlessly bringing food. But one day, my fella asked for an evening away from the bench, to take me to what he called “the most beautiful, magnificent place” he had ever seen. And so I grabbed my camera and a sketchbook and we drove out of town to a secret hollow. 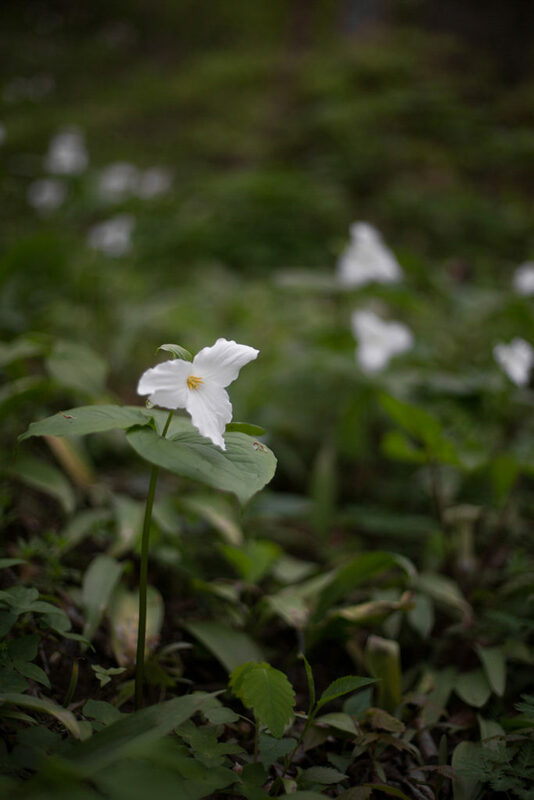 After bumping along a dirt road and getting just a little bit lost, we got to the place, which didn’t look like much of a place, that is… until he pointed; there above us was a forested ridge blanketed with thousands of white trilliums. These regal flowers only bloom for a very short time and are quickly gobbled up by roving deer, so it is a rare thing indeed to see so many in one place. 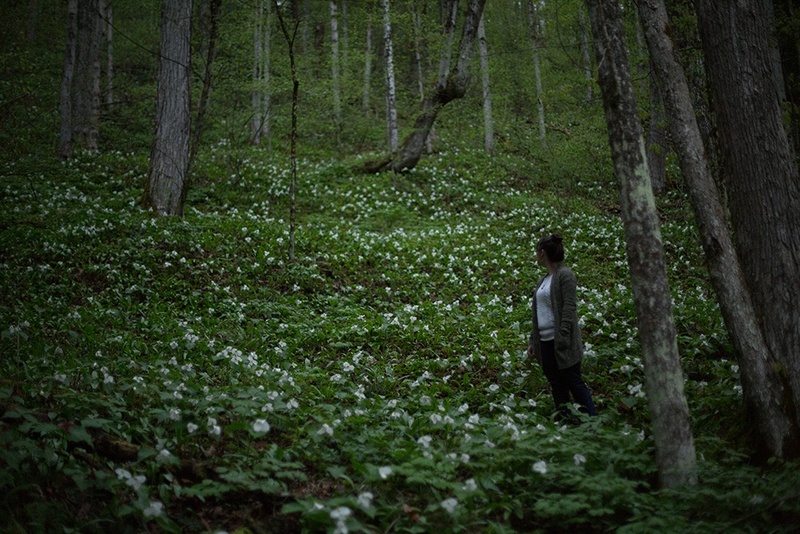 It was getting late, and the pure white flowers did indeed look “as stars from the earth” set against the darkening forest floor. 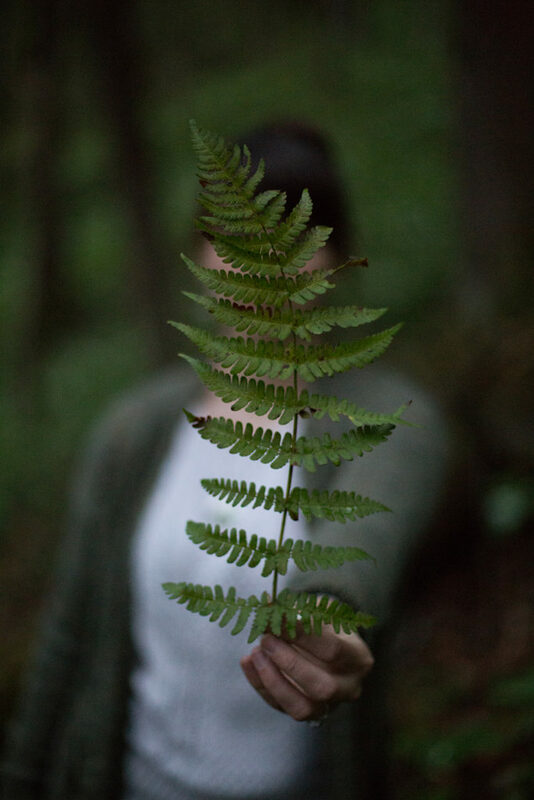 As my fella knelt down to identify interesting flowers and gently lift them to smell, he reminded me of Yavanna, whispering to the plants in a quiet, secret language and appreciating every bud, leaf, and tendril. And I could then see in myself Yavanna’s counterpart, Aule, the smith-god who shapes metal and stone into artful, beautiful objects. Aule, who is ever pressing forward in kinetic creation, pulling structure out of silver and firmly setting stones. My fella’s life is comprised of the slow stretch of shoot and vine, and mine of the sudden crack of flame and metal. 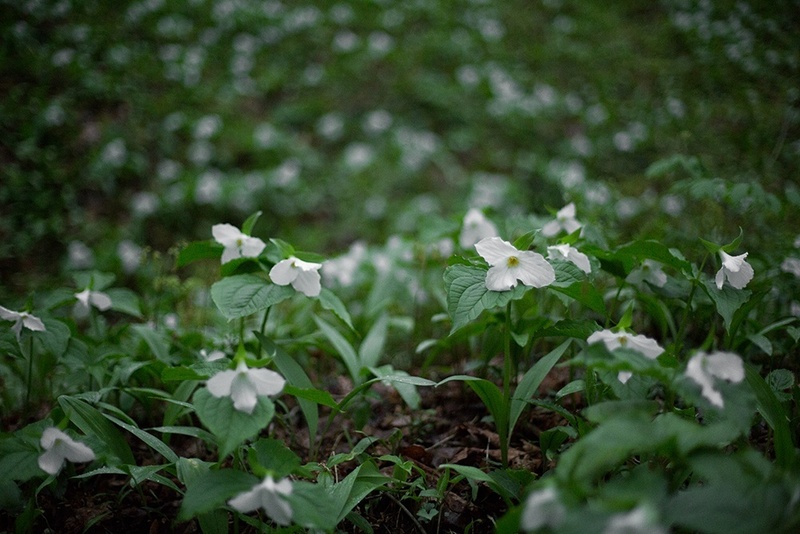 Tolkein and springtime, trilliums and my love, it all can be found under every stone and woven into every chain of this collection. I let life and art flow through me and into this work, and I feel it is the better for it. I cannot wait to see what inspiration summertime holds, I am open to it all. And I am so glad you are with me for it. What a treasure your words and work are. So beautiful, Michaela! Yes! It is amazing how life melds together. Life imitates art imitates life. 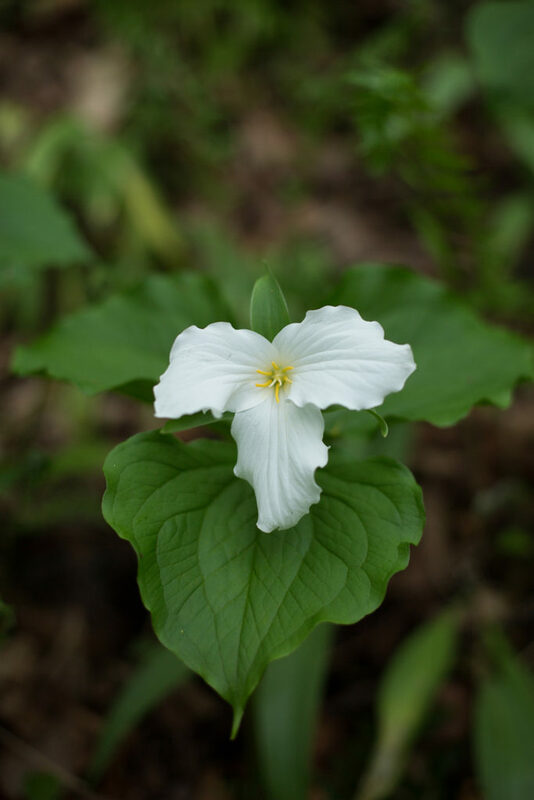 And I think you are absolutely right about a trillium. It is such a special flower to us. Your words are beautiful and inspire me to create. I love my Sprig Ring and will be a continual reminder of your creative journey that was graciously shared with all of us. And for me it represents a happy peaceful place I love to spend time. My garden of many greens and color…. I love that! 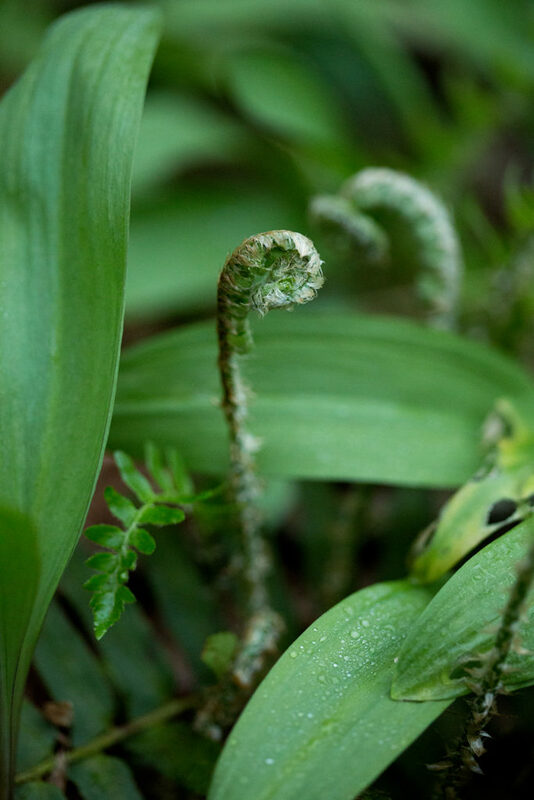 A reminder of renewal and life and growth. That is perfect.